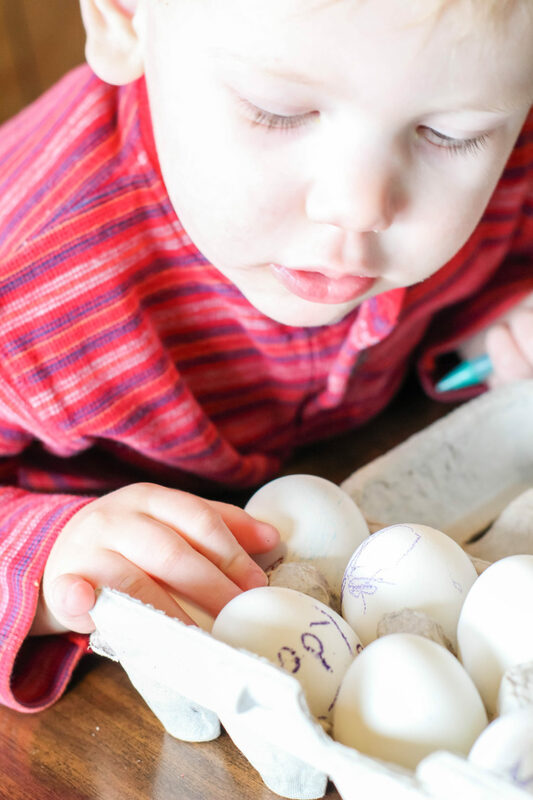 The idea of dying Easter eggs with my toddler seemed totally overwhelming to me! 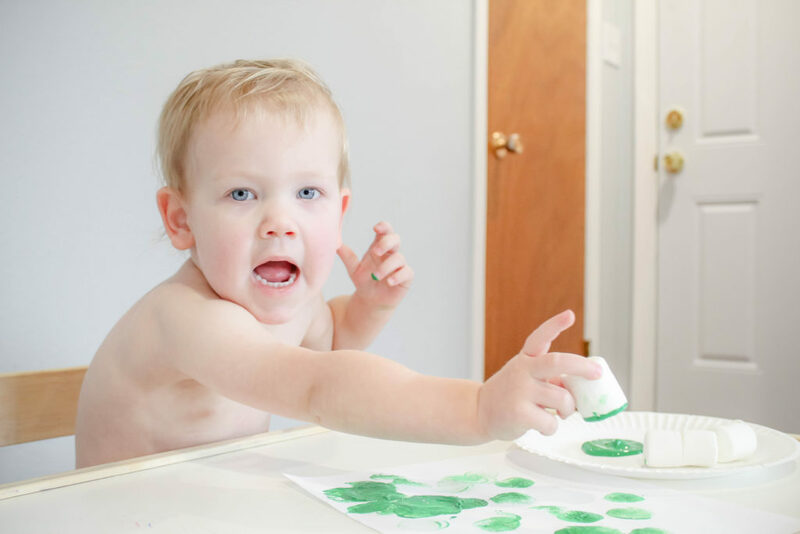 I wanted to start the tradition this year but didn’t think I possibly could manage with hands being dipped in food coloring and stains all over his skin and clothes. It just seemed like too much! 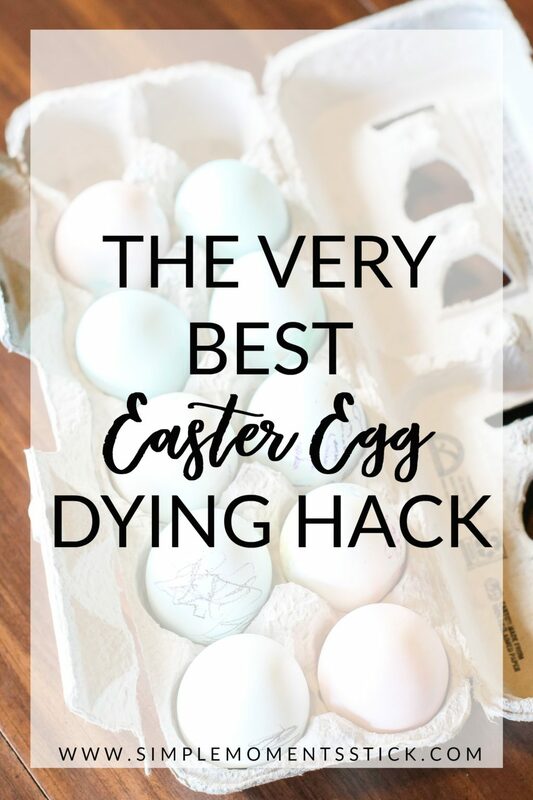 Enter – the best Easter egg dying hack around! 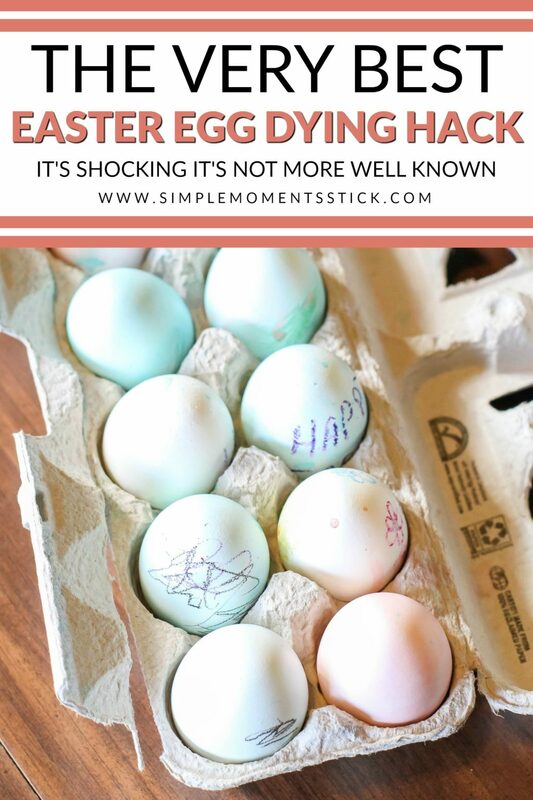 A few days ago my brother’s wife showed me an awesome idea of dying Easter eggs using a whisk! I was shocked. It honestly was the most genius idea and I wish I would have come up with it on my own! 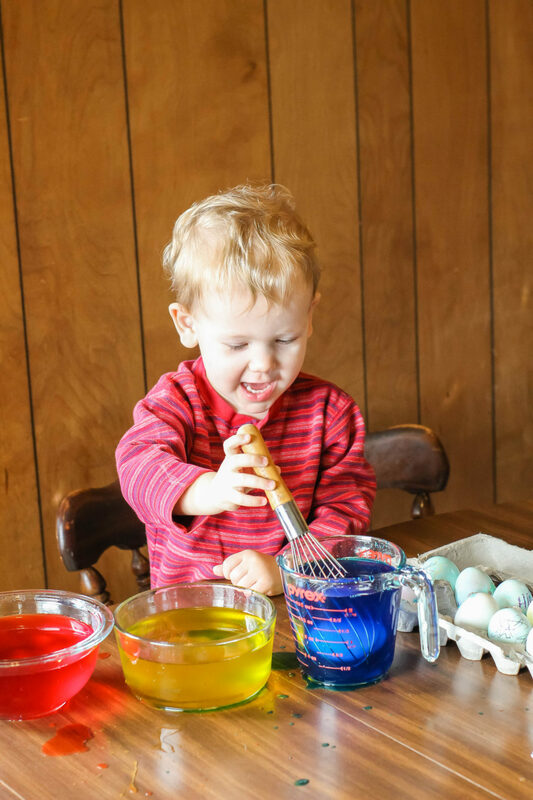 One of the things I always loved doing when I was a kid was coloring on eggs with a crayon before dipping them in the dye and, since Caleb adores coloring, I figured my little man should learn how to do eggs right the first time he did it! 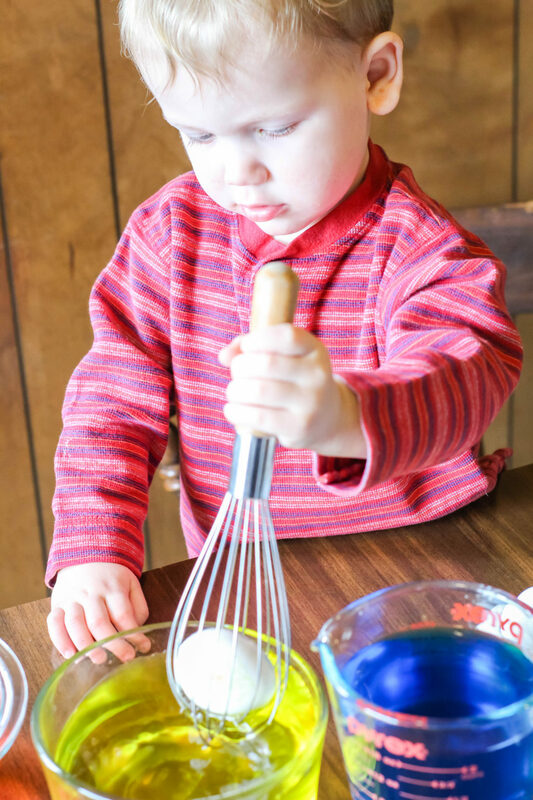 We had such a fun afternoon coloring on eggs, sticking them in a whisk, and dying them! 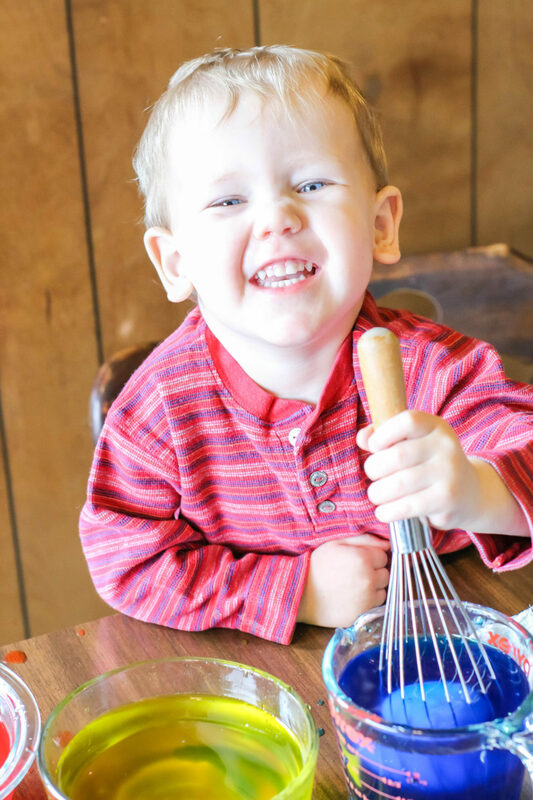 I’m so thankful for the fun and memories I can make with my precious boy, especially since this is the last month it will just be the two of us. 1. 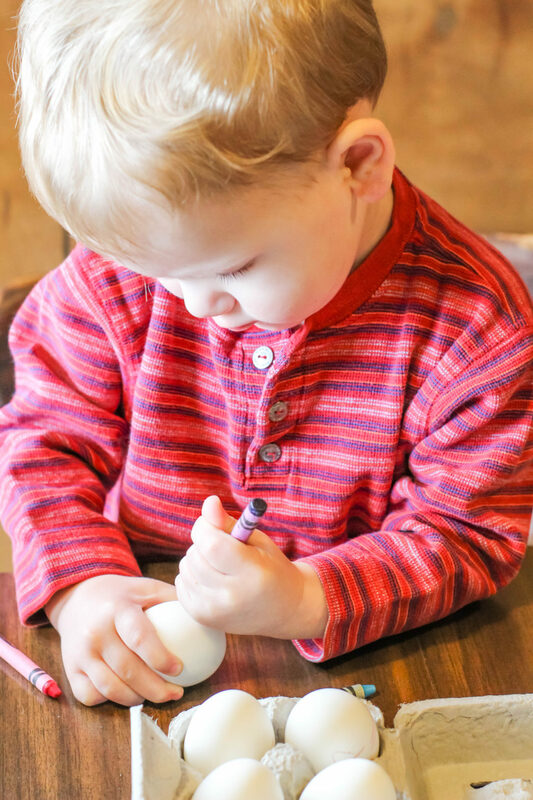 Allow your toddler to color all over the hard boiled eggs with a wax crayon. 2. 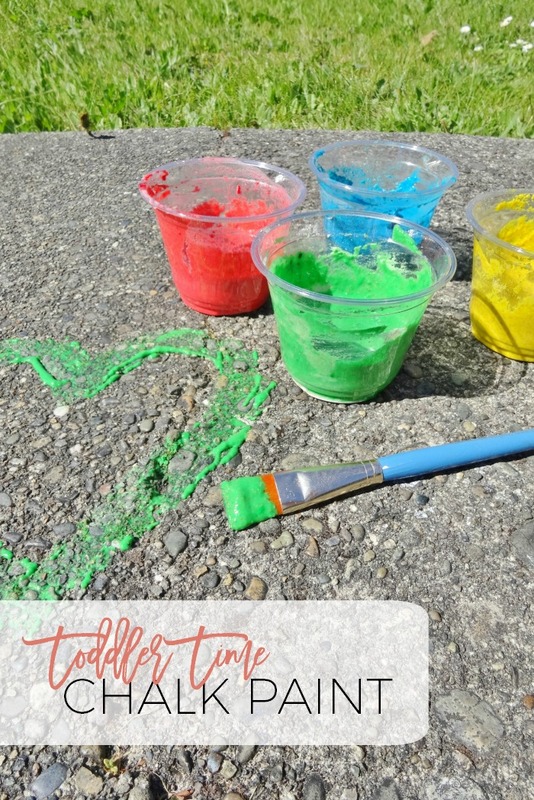 Mix food coloring with water until it’s the vibrancy you want. 3. 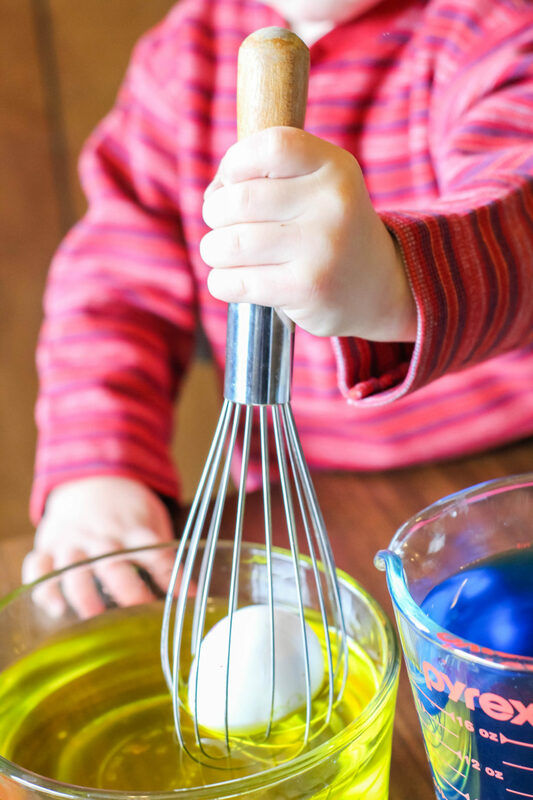 Place your hard boiled egg in the whisk and dip in the colored water. 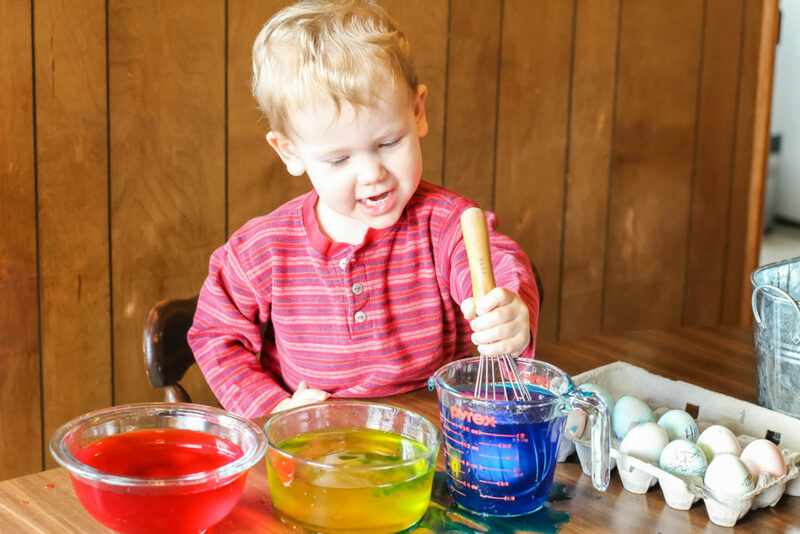 Your toddler’s hands will stay clean and the eggs will get dyed wonderfully. 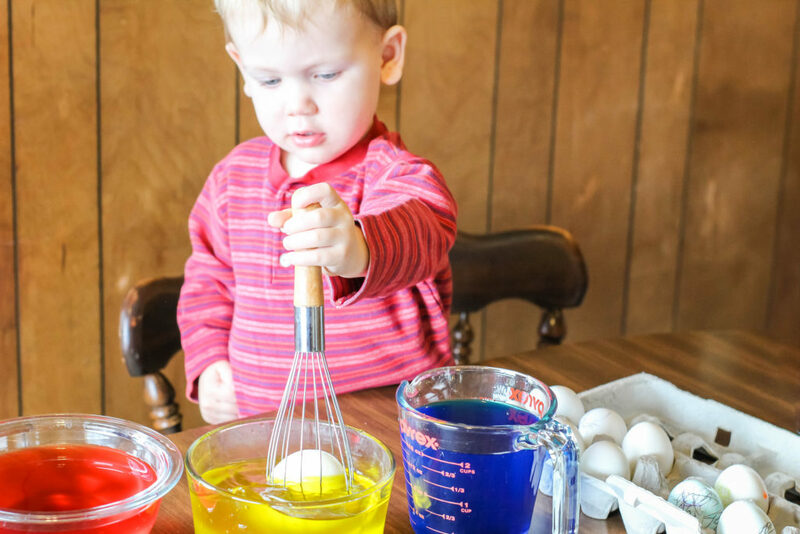 What are your Easter holiday traditions? 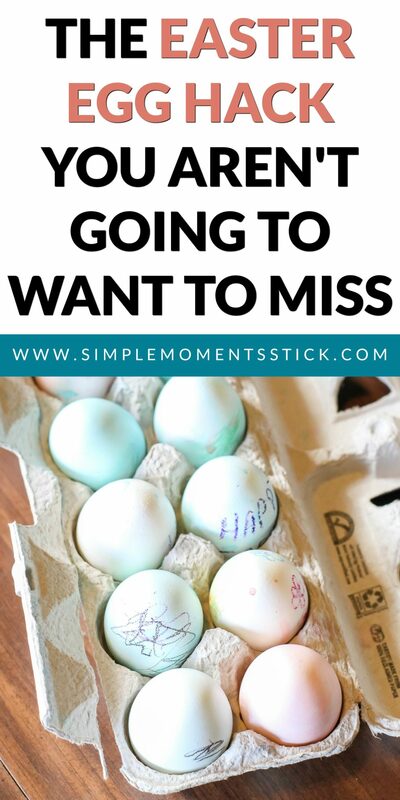 Do you dye eggs with your kids? Can a Protestant Celebrate Lent? 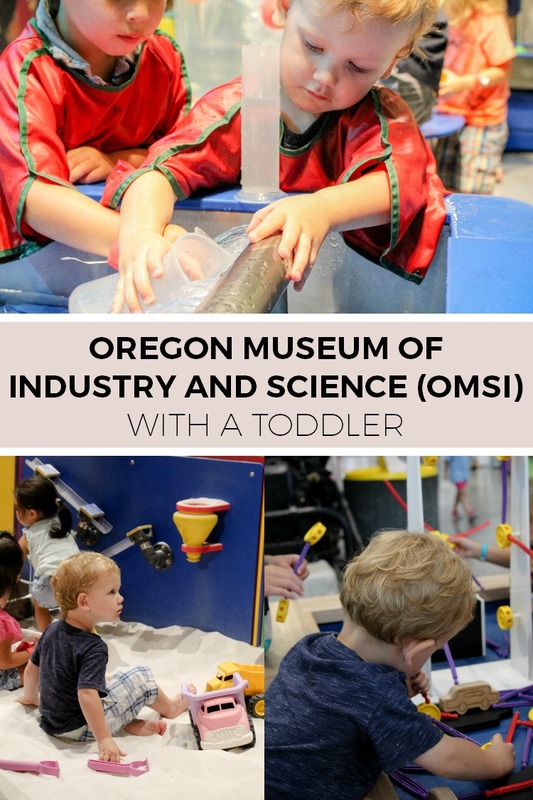 Should I go to OMSI with a Toddler?